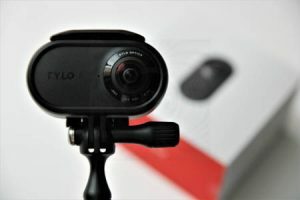 Rylo 5.8K camera (reviewed here) – regularly $499, on sale for $399. 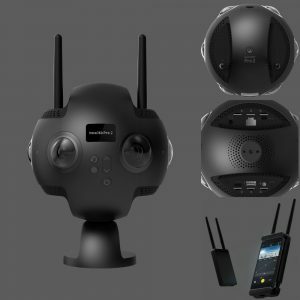 This is one of the top tier 360 cameras as of November 2018 with significantly better video quality than most other 360 cameras. It also has an easy to use app and is amazing for hyperlapses. There’s an excellent desktop software for Mac but the Windows version is not yet available. Yi 360 VR 5.7K (reviewed here) – regularly $399, on sale for $185. To get the special price, you have to check the box for the coupon, below the price. 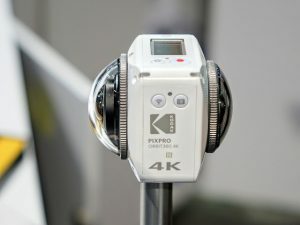 This has the fourth best video quality among consumer 360 cameras as of November 2018. It has optional in-camera stitching for video (at 4K) and photo (although the in-camera photo stitching is not good). Thanks to Dean Zwikel for sharing this deal! 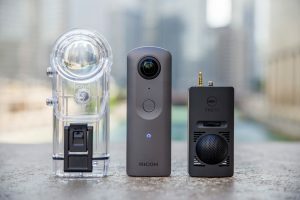 Ricoh Theta V (reviewed here) – regularly $399, on sale for $365.99. 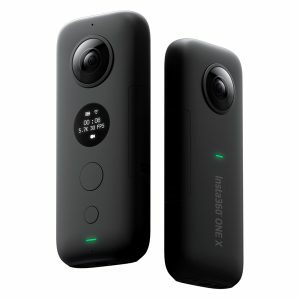 This is one of the easiest 360 cameras to use, with smooth in-camera stitching for photo, and optional in-camera stitching for video. Kodak Orbit360 (reviewed here) – regularly $399, on sale for $229.99 (42.5% discount). The Orbit360 is also on sale for $199 to $229 from B&H Photo. Now featuring stabilization and optical flow stitching on desktop (there’s a Mac version, but the Windows version is not yet available). Insta360 One: get 20% off ($239 instead of $299) + free invisible selfie stick + free bullet time handle. Or get it on sale for $239 at Amazon but without the free selfie stick and bullet time handle. 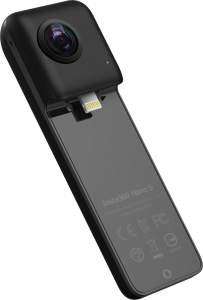 Insta360 One is a popular 3PV camera (stabilized 360 camera) with overcapture, hyperlapse, live streaming, and other capabilities. Use it standalone or connected to your phone. Insta360 One review here! Giroptic iO for Android on sale for $35. Please note Giroptic re-emerged from bankruptcy after it was acquired. Thanks to JV Luna for sharing these deals! 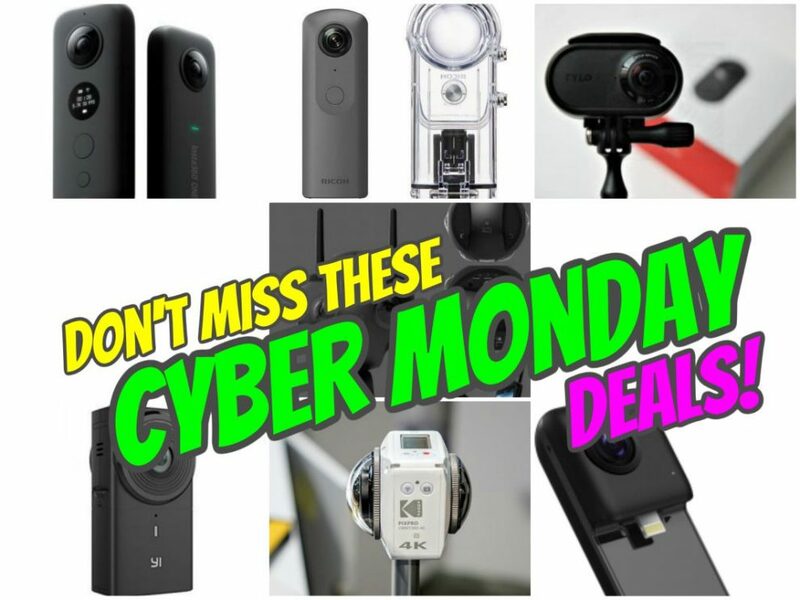 If you’re wondering which of these to get, check out my 360 camera buying guide! There is a better deal on the Yi 360 VR from Amazon. Its only $184.99 using the special discount coupon. Link is below. Make sure to check the box for the 50% extra savings coupon applied at checkout. Thanks Dean! I’ll update the post!